They say that three is the magic number and when it comes to books that does seem to be the case. Whilst there are reams of single shot novels that make their way onto the list after list of best reads of all time when it comes to good trilogy books for adults, it’s harder to find a common consensus. When done correctly a trilogy springs to life and is so much more than the sum of its parts. 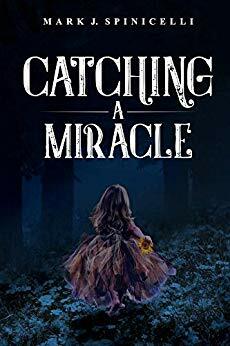 Whilst other trilogies paint a beautiful universe outside of our own, the Catching A Miracle trilogy looks inwards to the wonder of the human spirit. The series focuses on a doctor and her quest to find a cure for cancer and the adversity and resistance she faces in that calling. It is an inspiring read that rewards its readers richly with strong connections to the characters and plot. Whilst there may actually have been several more additions to the series made by Isaac Asimov after a 30-year hiatus, the original installments remain inexhaustibly readable on their own. The series takes place in a galaxy doomed for extinction, main character psychohistorian Hari Seldon doesn’t claim to offer salvation, only to reduce the interim chaos from 30,000 years to 1,000. It’s a gripping read that has already stood the test of time and one not to be missed. How could any good trilogy books for adults leave out this absolutely unmissable series by the legendary J R R Tolkien? If any book trilogy has proven time and time again that revisiting the beautiful universe it has built for itself is just as rewarding as the first read, this one is it. Reading the Lord Of The Rings has become a ritual akin to meeting up with old friends. The narrative, characters, and setting are all quite literally and metaphorically magical. If you’ve never taken the time to read the books, do. If you haven’t for some time, isn’t The Shire about due for a revisit? Obviously not a trilogy, this series does you one better. This beautiful piece of prose penned by Lawrence Durrell (brother of Gerald Durrell) is quite possibly one of the richest and most elegantly written series of novels in existence. The story is told by the four titular characters through the lens of their own experience in each of their own installments, you learn something new about each of them in a very clever slow reveal throughout the series and the story reaches a climax and conclusion in the fourth. Durrell is a magician and whilst always described as pretentious by his brother Gerald in his own writing, if he was capable of writing like this, it’s fair to see why. In a departure from his usual horror fare, Stephen King has written a trilogy that expertly displays what a clever and talented writer he actually is. Centering around a mass murderer, Mr. Mercedes, who targets the retired cop Bill Hodges with a series of taunts in an attempt to make him commit suicide. The plan backfires though when its effect is a call to action for Hodges to track down and punish this psychopath. Each book is a page-turner and the trilogy as a whole has you gagging for the next. Previous Post: ‘So Absurd It Must Be True’ – The must-have book of the year!